How can you make a difference in your world – no matter who you are and no matter what you do? 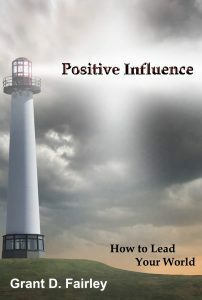 In this comprehensive presentation, a wide range of topics are covered to make you someone who is influential. Unlike people who control others, people who influence can have a much more profound and long-lasting impact on the lives and futures of others. Learn what it takes to prepare yourself to be a center of influence. Then learn methods to change the course of your history by being a positive force in the lives around you. Increase your effectiveness as a leader or team member, increase your sales, set a new standard in customer service, redefine your relationships, find a new level of personal insight and peace that will free you to be your best self. This powerful presentation is a whole person approach to business and life to become a center of influence where ever you are. Like a pebble tossed into the water – your influence will be felt in the lives of those around you and for generations to come. Relationships are only as strong as the communication between people. In this seminar, learn how to listen, learn how to share and learn how to read what is not being said. Understand who you are and how you communicate. Discover how to hear what others are saying to you. Free your relationships from the noise that keeps you apart. Take your relationships to a deeper level by being a great communicator. These are important skills for anyone in business, sales or leadership. Remember how easy it was when we would play “We’re following the leader” as children. It’s a bit more complicated to lead others when we are adults. How can you prepare yourself for leadership opportunities? Learn the big ideas of leadership that apply to all leaders – whether you’re leading a few co-workers, running a non-profit or charity or if you’re leading a country. Understand different leadership styles with the pros and cons of each. Find out what your natural leadership style is and how to maximize that for your group. We also investigate the idea of servant leadership and how your attitude can disarm the most challenging members of your group. Learn too about the rewards of leadership for you as a person. © 1994-2018 Strategic Seminars a division of McK Consulting Inc.